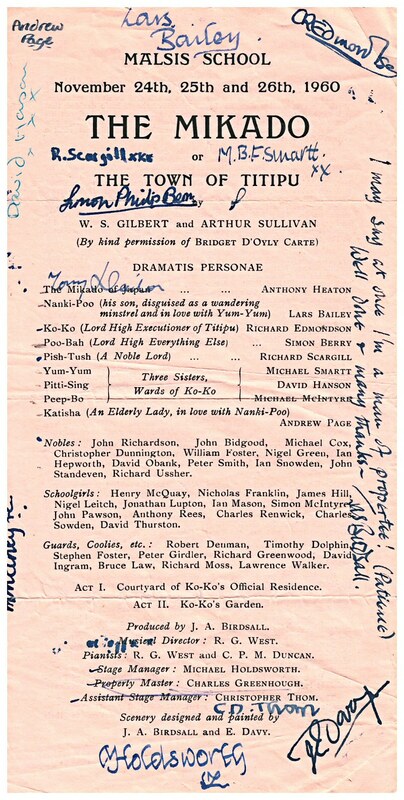 With thanks to Frances Yvonne Salt (nee Davy) for the scans and notes, and to Brenda Whitaker, Neil Palfreman, Tony Ingham and Charles Greenhough for updates. 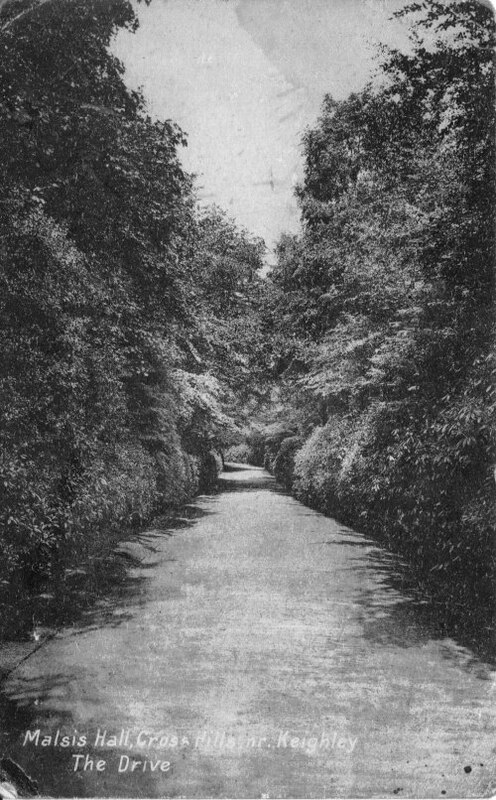 The Drive at Malsis Hall circa 1960. 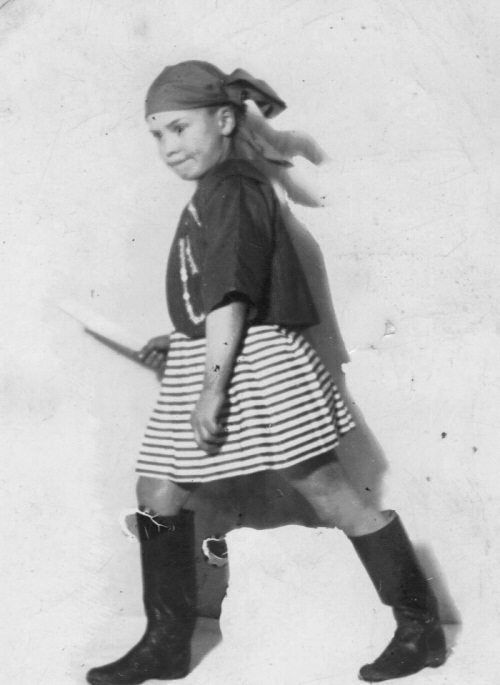 Unknown pupil dressed for playing a part in the Pirates of Penzance, Malsis Hall School. 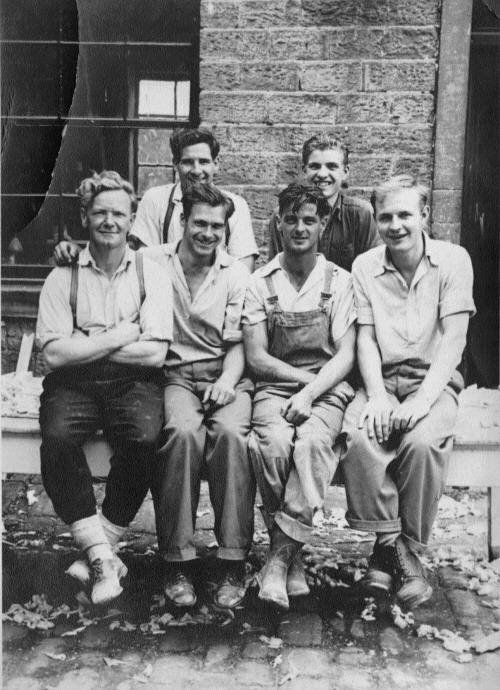 Gang of workers, Malsis Hall School � I can only guess at year 1960, and I can only name my father John Eshton Davy second from left, front row. Update from Brenda Whitaker: The chap in the front row on the left with curly (ginger) hair is my dad - Eric Harper from King Edward Street. Update from Neil Palfreman: At the right hand of the photograph is Peter Dearnley, he lived by Glusburn bridge for a long time. If my memory serves me right, his parents lived in the lodge at the Malsis drive entrance to Malsis School. Update from Tony Ingham: Front row, third from the left is George Kettlewell. 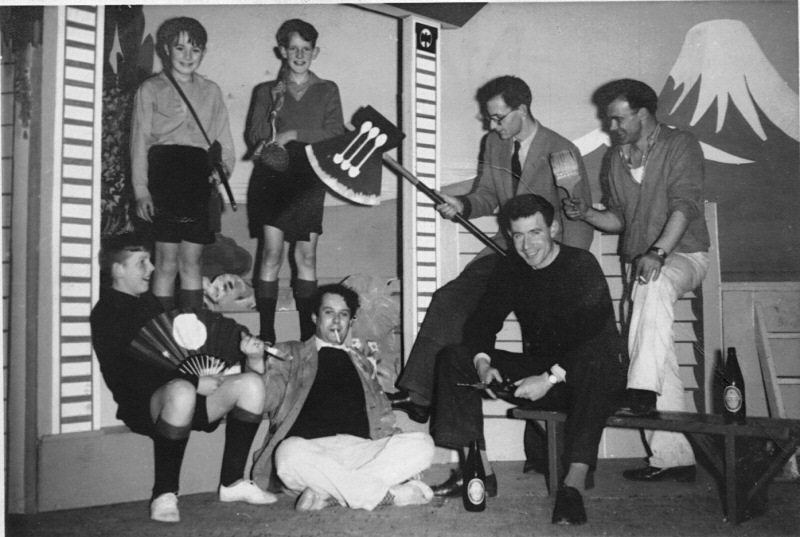 Malsis Hall School, Preparing for The Mikado, December 1960, pupils unknown. 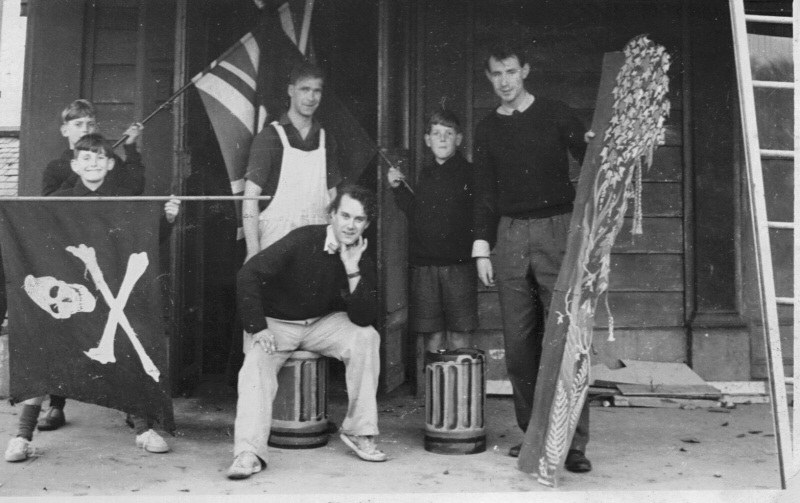 Sitting on floor Master of Art Jasper Birdsall, seated on bench teacher David English, standing with paint brush John Eshton Davy. The above photo is of the stage hands. I was 'Property Master' and am the boy in the back row second from left. 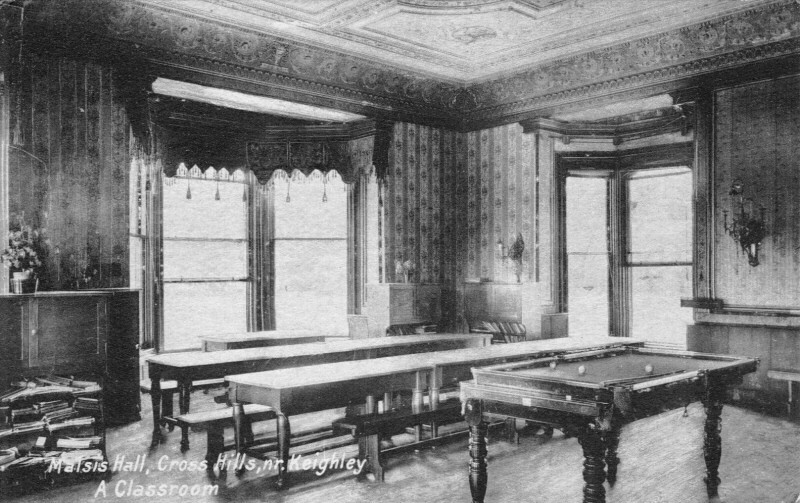 The other boy in the back row is called Christopher Thom and Michael Holdsworth is sitting next to Mr Birdsall. The adult with the axe is definitely Mr West. 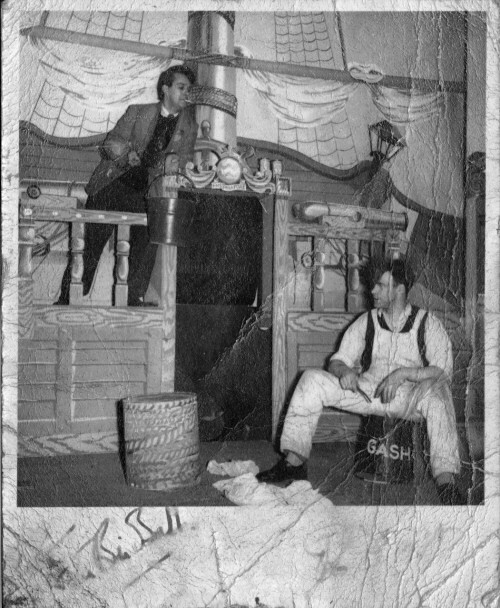 Stage hands, Pirates of Penzance, pupils M. Holsworth, S.C. Normanson, L.H. Metcalf. Teacher David English standing at the right, Jasper Birdsall seated, John Eshton Davy standing behind. Signed picture of Jasper Birdsall and John Eshton Davy (sitting).